The first things to learn when you play tennis doubles are the rules of the game and the correct positions on the court. This article covers technique, court positioning, and strategies of doubles tennis. 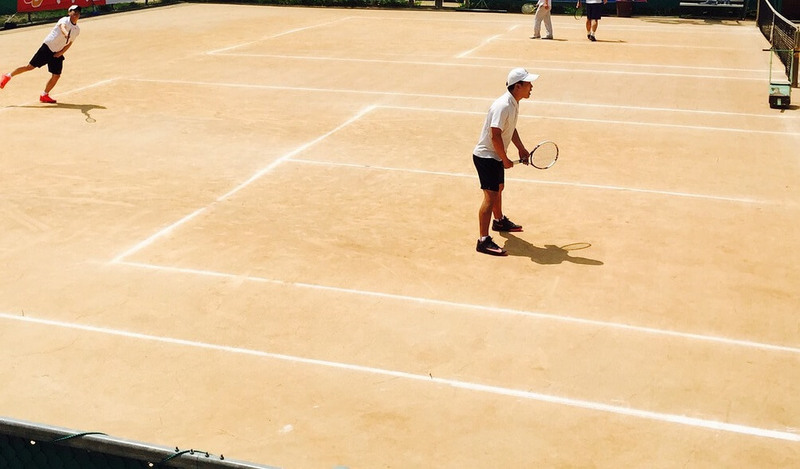 If one or both players are inexperienced double tennis players, someone familiar with the game should be present to see that the serving order is followed, remind the players about where to stand (court positioning), and keep score. Make sure your partner complements your own ability and experience. Communicate with your partner, as there are pre-match decisions to be made. Pick a side from which you will be returning – either forehand or backhand side – considering whether you and your partner are right or left handed. For example, if you are right handed and your partner is left handed, you would probably be playing from the right side. Most of the rules and guidelines that apply to singles tennis are applicable to doubles tennis, with a few exceptions. The court size is wider, with the boundaries extending from side to side to the doubles sidelines. Included are the alleys between the singles and doubles sidelines on the court. However, the doubles tennis court boundaries are only in play after the ball is served. Begin by deciding who will serve first, you or your partner. You follow the same serving sequence you do when you play single tennis. When your partner is serving, you will usually be on the right side (deuce court) and your serving partner on the left side (ad court). After the first serve, the other team will serve, and then the serve will return to your partner. The serve continues to rotate – A, then C, then B, then D, then B, etc. for the entire set. Simply put, each player rotates to serve every fourth game until the set is finished. Serving begins in the deuce (right side) court and servers can stand anywhere on the designated half of the baseline. Most players tend to line up out wide, about two or three feet from the singles sideline, as this allows for a good out-wide serve. Doing so can set up the net player for an easy volley on the return to close out the point. When the point ends, the server alternates to the other side of the court (the left or ad – advantage side) to begin serve. In order to play tennis doubles effectively, players need to be more adept at playing certain areas of the court and hitting some of particular types of shots. Controlling the net is more critical in doubles tennis than in singles tennis. Because you can make use of the greater angles available for your volleys, it is far easier to win points up at the net. Maximizing the possible spaces on the court where you can place your shots is best done up at net, since there are two opponents. Generally, the usual position of the players at the beginning of a point is to have one player at the baseline (the server or returner) and the partner at net. If possible, the player at the baseline should also join his or her partner up at net. A player needs to improve his or her volleys if he or she really wants to learn how to play tennis doubles. More volleys are usually hit in doubles, because it is generally harder to put the ball away. In doubles tennis, the volley can be just one of several set-up shots for the rest of the point. 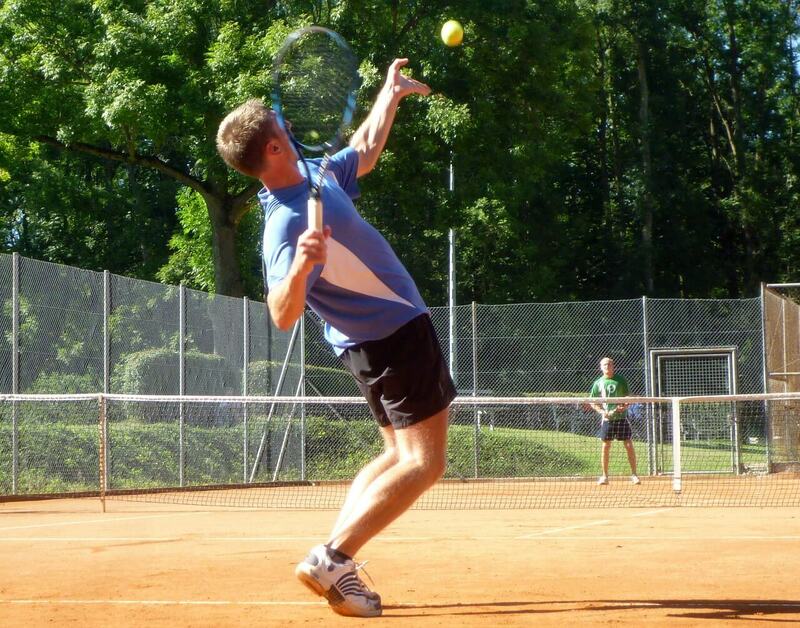 In addition to the volley, the overhead is also much more frequently used in doubles tennis. When two players are up at the net, it is tougher to hit a passing shot because there are fewer spaces to thread the ball through. Therefore, instead of the passing shot, the lob gets used more frequently. In doubles tennis, when a player is forced backwards, they usually hit the ball straight ahead. The objective of tennis, both singles and doubles, is to keep the ball in play longer than your opponents. When one begins playing tennis it is best to keep the ball in play and wait for the opponent to make an error. As one develops into a good player, strategies and tactics change, and you can use the following to help you win doubles tennis. Let the best server on your team serve first, so that they can serve as many games as possible. The team getting to the net most often generally wins the match. Serving provides a great opportunity to crash the net, so aggression after a serve will help you win. Hit to the weaker player as much as possible. The main strategy in doubles tennis is to maximize the angles and spaces in which to hit your team’s shots while minimizing your opponent’s shots. Because players need different shots that are more useful and effective since there are two players on each court, the following shot descriptions will prove useful. If the server is approaching, the return should dip low to his or her feet, just as it should against any other serve and volley player. If the server is staying back, the return has to be deep or angled. Usually hit down the alley or down the middle between the opponents. These must be more severely angled in doubles than in singles. Have value only if you are sure that it cannot be poached (or intercepted) by the net player of the opposing team. Hit to the side of the court instead of hitting the ball straight in front, this shot is ideal to hit angled volley shots when both or one of the opponents are positioned at the back. A better rally shot for doubles because it crosses low over the net, which is much more difficult to volley. The placement and trajectory of the balls through the air must be precise. Obviously, if both opponents are at net, shots may have no value at all. 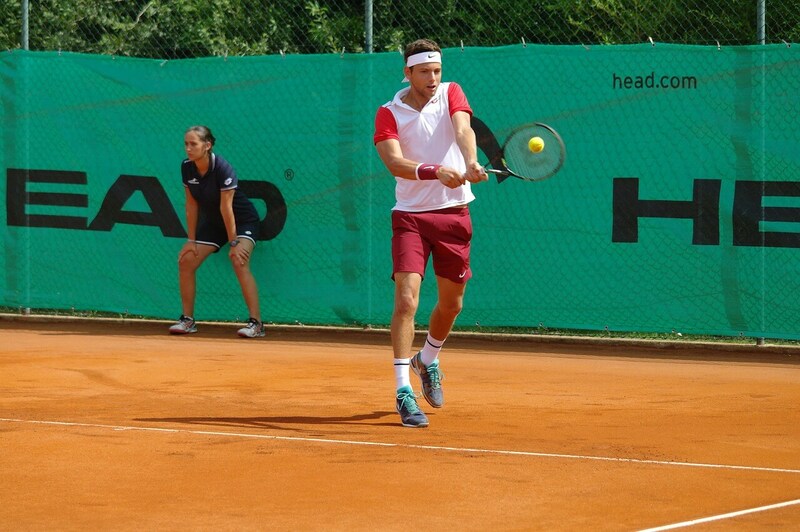 Cooperative teamwork is imperative for success in doubles tennis. Discuss strategies and tactics and encourage one another. Know areas of confidence and those moves with which each of you feel uncomfortable. Practice together to get your moves coordinated. The scoring rules for doubles tennis are not etched in stone, since this is considered an unsanctioned style of tennis. Determine how you score prior to game play. The main strategy in doubles tennis is to maximize the angles and spaces in which to hit your shots while minimizing your opponent’s. Because there are two players on each court in doubles, the situation is different than in singles and so too are the shots that are more useful and effective. Doubles tennis is exciting and enjoyable for both the players participating and the spectators.